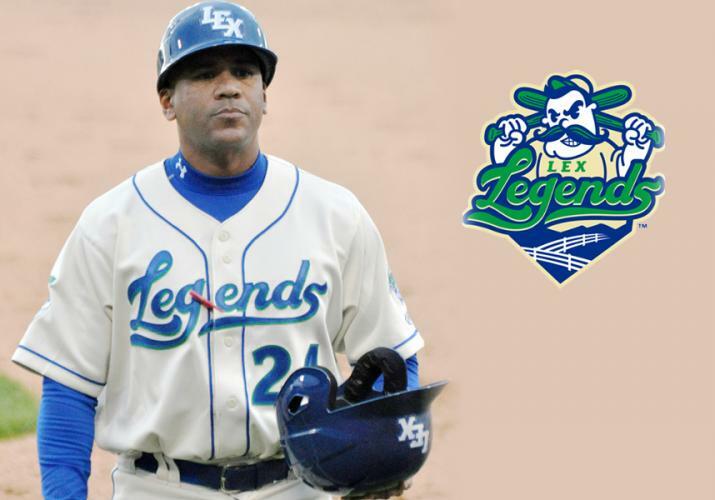 Omar Ramirez will return for a second year as manager of the Lexington Legends. Bench coach Glenn Hubbard and hitting coach Damon Hollins also return, and they will be joined by pitching coach Mitch Stetter. Athletic trainer Mark Keiser returns for his fourth season with the Legends. The Legends’ parent club, the World Series champion Kansas City Royals, announced field staff assignments today (Monday) for their minor league affiliates. The Legends, who play in the South Atlantic League, are going into their fourth season as the Royals’ class A affiliate. Ramirez served as manager of the Idaho Fall Chukars, the Royals affiliate in the rookie-level Pioneer League, for three seasons before taking the Legends’ job last year. Idaho Falls was the league champion in 2013. Ramirez was the hitting coach at Idaho Falls in 2011, and also served as the hitting coach for Royals affiliates in Burlington, North Carolina (Appalachian League) in 2009 and Burlington, Iowa (Midwest League) in 2010. Ramirez was an outfielder for Hill Junior College in Texas before being selected in the 31st round of the 1990 draft by the Cleveland Indians. He played eight seasons in the minor leagues with the Indians and Houston Astros, reaching the triple-A level in both organizations. He also played for parts of six seasons in the Mexican League. Hollins enters his seventh season with the Royals. He began his coaching career as the hitting coach at Burlington of the Appalachian League in 2010, then moved to class A Kane County of the Midwest League in 2011 and to advanced-A Wilmington of the Carolina League in 2012. He was the hitting coach at Idaho Falls in 2013 and 2014 before coaching Legends hitters last season. Hollins was selected by Atlanta in the fourth round of the 1992 draft. He played in the major leagues for the Braves in 1998 and 2004, for the Los Angeles Dodgers in 1998 and the Tampa Bay Devil Rays in 2005 and 2006. He spent the 2007 season in Japan with the Yomiuri Giants before playing for the Omaha Royals, Kansas City’s triple-A club, in 2008. Hollins resides in Litchfield Park, Arizona with his wife, Patrice. They have three children, Tahari, Ameerah and Averi. Hubbard joined the Royals organization in 2011. He spent 21 seasons as a coach in the Atlanta organization, including 12 years as the Braves’ first base coach under manager Bobby Cox. Before joining the Braves’ major league staff in 1999, Hubbard coached at Bradenton (1990), Macon (1991-92, 1994 and 1998) and Richmond (1993, 1995-97). A 20th-round draft pick of the Braves in 1975, Hubbard played in the majors for Atlanta from 1978 to 1987. He concluded his playing career with Oakland, playing on an American League pennant winner in 1988. Hubbard was a National League All-Star in 1983. He tied a major league record for second basemen with 12 assists in a game on April 14, 1985. He resides in Stone Mountain, Georgia with his wife, Lynn. They have three sons: Jeremy, Matthew and Daniel. Mitch Stetter is in his second full year as a coach in the Royals system after serving as a player/coach in 2014. After playing in college at Indiana State, he was selected by Milwaukee in the 16th round of the 2003 draft. He pitched in the majors with the Brewers from 2007 through 2011. He set a Brewers record in 2009 by recording 15 consecutive outs on strikeouts. He had a 4-1 record in 71 appearances for Milwaukee in the 2009 season. Stetter is a great nephew of Gene Tormohlen, who played for the NBA’s St. Louis and Atlanta Hawks. Stetter lives in Norridge, Illinois with his wife, Alison, and children CC, Dusty and Willa. Keiser is going into his sixth year in the Kansas City system. He was the athletic trainer with Burlington of the Appalachian League in 2011 and Kane County in 2012 before moving to the Legends in 2013. Before joining the Royals, Keiser was a graduate assistant athletic trainer at East Carolina University in Greenville, North Carolina, while earning his Master of Science degree in athletic training. At ECU, Keiser was primarily responsible for the volleyball, cheerleading, and the men’s and women’s tennis teams. Keiser graduated with a Bachelor of Science degree in athletic training from Ohio University in 2009. The appointment of a strength and conditioning coach will be announced later. Carlos Reyes, the Legends pitching coach last season, will serve as pitching coach for the Royals’ affiliate in the Arizona League. The Legends open the season Thursday, April 7 at Whitaker Bank Ballpark against the Lakewood BlueClaws, an affiliate of the Philadelphia Phillies. For ticket information, call 859-422-7867 or visit www.lexingtonlegends.com.